Depending on how you feel about bombastic explosions, overt glorification of stereotypical masculinity and wisecracking mutant amphibians, the following may come as either depressing news or the best thing you’ve heard all month: That Teenage Mutant Ninja Turtles movie that Michael Bay was working on has been put on indefinite hiatus. According to The Hollywood Reporter, the film, which was scheduled to hit theaters in December 2013, has been tentatively pushed back to May 2014. THR cites unspecified issues with the script as the key problem, though also points out that Paramount recently delayed the similarly effects-heavy, action-focused G.I. Joe: Retaliation. The studio justified that delay by claiming it needed time to add 3D to the film, though we posited the idea that perhaps Paramount is feeling gun shy about big budget blockbuster films based on childhood nostalgia in the wake of Battleship utterly failing at the box office. The move comes as analysts have been knocking Viacom’s Nickelodeon division for lower ratings. 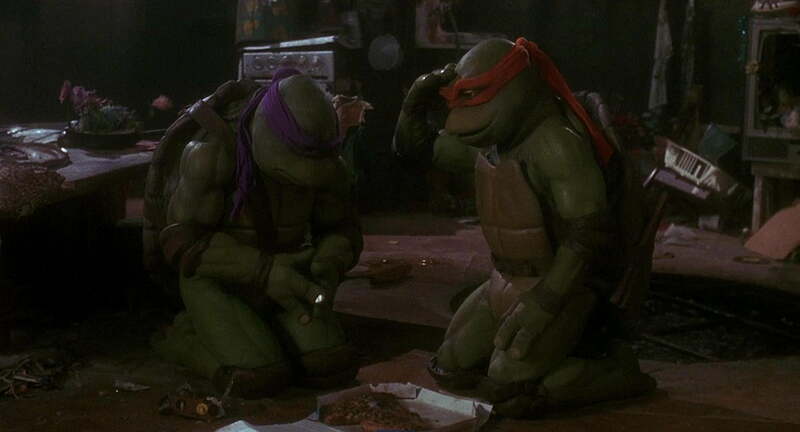 The Ninja Turtles project, a joint Paramount-Nickelodeon production, was eyed as a chance to bolster Nickelodeon as well as reboot a family film franchise. The studio had paid a hefty sum for rights to the property, which had been the basis for three hit movies for New Line Cinema in the 1990s. Whatever the reason for the delay, it’s likely to be seen as great news for die-hard fans of either the gritty Ninja Turtles comic book series, or the classic kids cartoon. Bay’s ideas for reinventing the property included Turtles that were actually aliens from outer space, which as you can expect didn’t go over well with the existing fanbase. Nor did Bay’s dismissive response to those who pointed out how ludicrous his plans were. NPR has an excellent write up on that slice of internet drama that also explores the idea that perhaps Michael Bay would be far better off creating an original property, instead of altering existing, beloved canon — though today’s news might scuttle Bay’s plans entirely.